What is in the name? Here is the magic Word Search puzzle which contains your name. 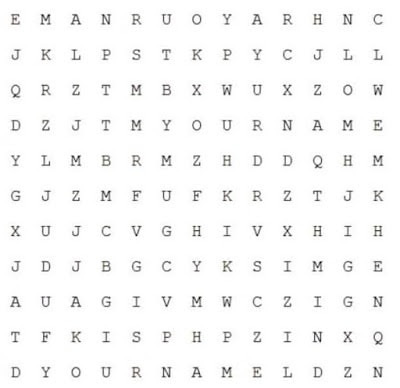 Can you find Your Name in this word search puzzle? 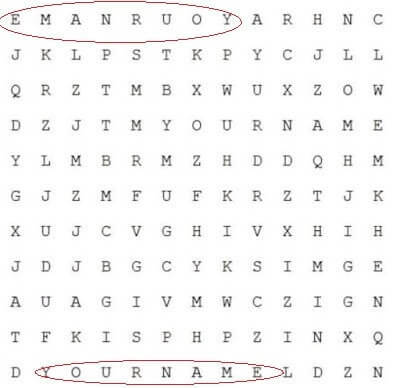 Can you find Your Name this word search puzzle? 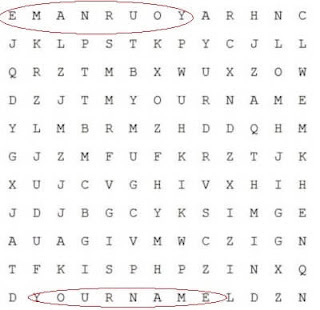 Your Name occurs many times in this Word Search puzzle. Here are the few instances of Your name which are marked in the answer picture image.